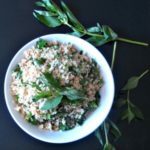 Kasha – toasted buckwheat groats – is a naturally gluten free, traditional side dish I’ve eaten all my life for the delicious nutty flavor! I originally published this post in September, 2014. This is an update, with some new pictures and a few edits. The first edit is that the title is incorrect – buckwheat is technically not a grain. However, it used as one in cooking, so I let it stand. It matters, though, not just for accuracy but because some people who avoid grains for various reasons can and do eat buckwheat. 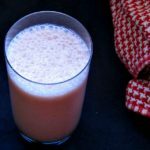 There’s a lot of talk these days about foods your grandmother (or great grandmother) would not recognize, suggesting that they’re not real food, and perhaps should be avoided. First, I would amend that to Someone’s grandmother – mine certainly did not eat tofu, quinoa, or many of the vegetables I get from the CSA, all of which are perfectly traditional foods in places she did not live. (And, well, when I was a child, she and many other grandmothers did eat Pasteurized Processed Cheese Food – surely neither cheese nor food.) So, while the concept is useful, I can’t completely accept it. In general, rather than thinking in terms of avoiding “bad” foods, I embrace selected “good” foods – because if I’m eating good food, I don’t want or have room for questionable Food Products. And one good food your great grandmother probably ate more than you do is buckwheat. Buckwheat was grown in many places in the world, as it grows well in cold climates and dry conditions, where other grains do poorly. It doesn’t have gluten, so the flour was not made into bread, but most commonly served in the form of noodles and pancakes. Pizzoccheri in Italy and soba in Japan are noodles. Galettes in Brittany and blini in Russia are pancakes. And all the early 20th Century American cookbooks in my collection have several pancake recipes – buckwheat pancakes are an American classic. They became less common in the late 20th century, though, and it started to be hard to find buckwheat flour. 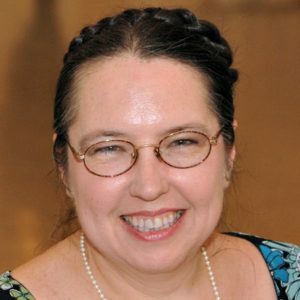 When I first knew Rich’s mother, I delighted her by bringing her a package of buckwheat flour from a natural foods store – she had mentioned that she hadn’t seen it for years, and missed the pancakes she used to make. The flour was no longer in the supermarkets. Hmmm… I guess I should make her some pancakes! Apparently production in the US dropped off mid century, when the nitrogen fertilizers became available and vastly increased yield of wheat and corn. Because buckwheat does not respond well to the fertilizer, farmers largely stopped growing it, and started to concentrate on the higher yield grains. Now, though, it is coming back, since it doesn’t have gluten – and that is no longer seen as a disadvantage. 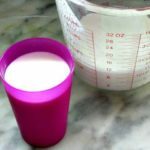 I’m actually starting to see the flour in supermarkets, again – and I’m going to play with the recipes in my old books, some of which are fascinating. Here in New York, though, and in other places, buckwheat never completely vanished from the stores. 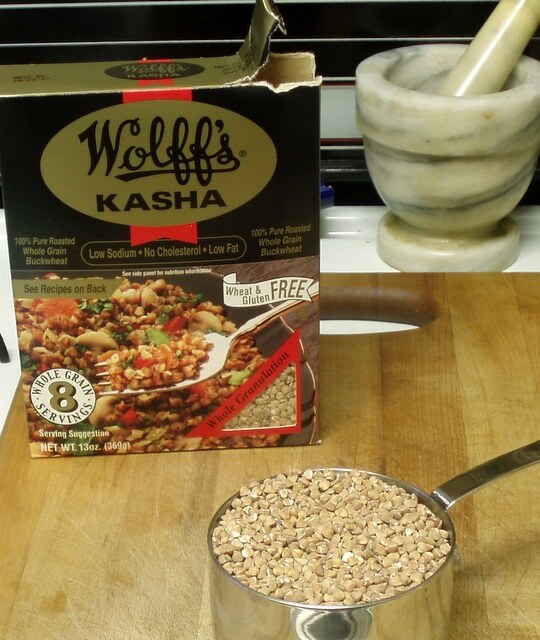 The flour might have gone, but the whole grain was still in the “ethnic” or Kosher aisles, as kasha. I understand that the word “kasha” in Russian actually just means porridge – but here in the US, it has come to mean toasted buckwheat groats (or whole grains.) Natural foods stores may have the raw whole groats (I sometimes get them from the bulk bins) but if they are called kasha, they are toasted. This is a recipe from Eastern Europe – a staple in Russia, Ukraine, Poland, and other parts of Eastern Europe. It was mostly brought here by Jewish immigrants from Eastern Europe in the early 20th Century, and tends to be thought of as a Jewish food, though it’s served in the Ukrainian and Polish restaurants here as well. And my, it is good… a warm, nutty flavor. Now, you can just pour them into boiling water and cook them like other grains – and, to my surprise, that’s what the instructions now on the box tell you to do. But the classic, the traditional way to cook kasha, which gives a wonderful flavor and texture, with each grain separate, is with egg. For each cup of groats, beat one egg, and then mix it well with the grain. Then cook it in a dry skillet over medium heat. 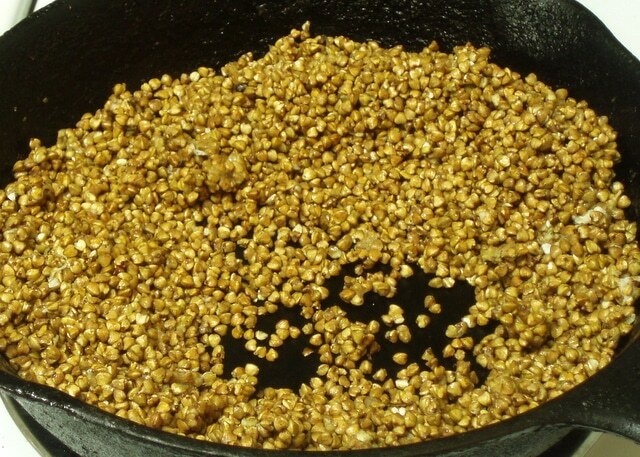 The grains will start by clumping – stir them to break up the clumps, and cook the egg coating the individual groats, and brown it slightly. 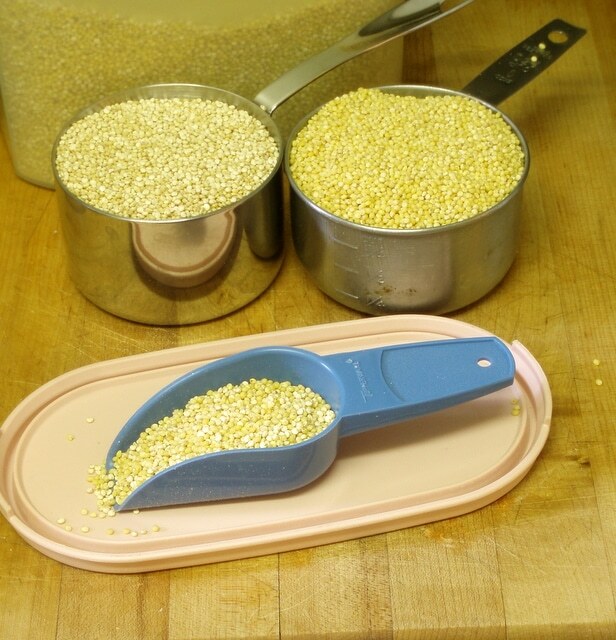 After a few minutes, you’ll have all the grains separate and distinct. Then add liquid. You can just use water, but broth is traditional – I used homemade chicken broth. Two cups of liquid for each cup of grain – pour it in carefully, as it will boil madly when it hits the hot pan. Then lower the heat and let it simmer for 20-25 minutes. Exact time, as I always seem to say, will vary – by the pan, by the heat under it, and so on – check at 20 minutes, which is what I’ve usually used, but this batch took 25. It is done when all the liquid is absorbed and the grain is tender. That is the absolute basic. A common variation is to saute onions and/or mushrooms in the pan first, reserve them, and add them at the end. (If you leave them in the pan they may burn when you are sauteing the grain, and then get mushy when you simmer it.) If you add cooked noodles at the end (most commonly bowtie noodles, or farfalle) you have kasha varnishkes. 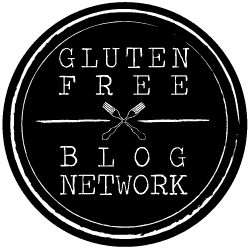 (And then, of course, it is no longer gluten free – unless you find a source for gluten free bowties!) 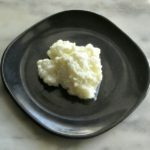 Plain kasha, without the vegetables or noodles, is also a common filling for knishes. Cooked kasha can be served as a side dish with anything – the nearby Ukrainian diner serves it as an alternate to mashed potatoes. People don’t usually put anything over it other than, sometimes, gravy. The toasted grain has a rich nutty flavor, so it’s particularly good for meals where the side dish stands alone. Buckwheat is gluten free. Cooked this way, it has a pleasant texture – not mushy – but not difficult to chew. Mom can eat it and enjoy it without added gravy, but I think she’ll find it more appealing with the extra moisture and flavor – Dad liked it as is. 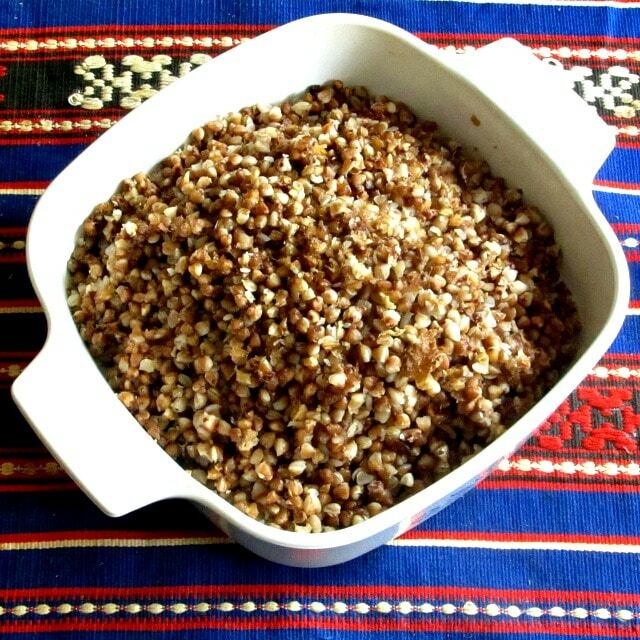 Kasha - toasted buckwheat groats - is a naturally gluten free, traditional side dish I've eaten all my life for the delicious nutty flavor! Beat egg. Stir in the buckwheat groats, and coat them thoroughly. Heat a frying pan over low to medium heat. Put the buckwheat/egg mixture in the dry pan. Stir it around, breaking up clumps, until the individual grains are separate and the egg is cooked. Cook for 20-25 minutes, until the liquid is absorbed and the grain is tender. If desired, add sauteed onion, sauteed mushrooms, or both. lid on while cooking the kasha, or no lid? I cook it with the lid off - for the extremely scientific reason that I learned to make it with a fry pan that didn't have a lid... ;-) I suspect, though, that lid off helps keep the grains distinct and non-mushy, and so is one of the reasons I like this... Great question, I should be more clear, thanks! I put it into a saucepan and cooked it lidded. I also cook other grains lidded so I took the plunge lol The egg kept the grains beautifully distinct, like rice cooked properly. I also threw in celery with the onion, and then garlic. But the star of the show was my broth. Best kasha I ever had, nom nom nom. Even without the veggies. I had a heaping amount with eggs. Put shredded parm on some of the kasha, but it was just overkill. The kasha cooked in the broth is the star in this show! Oh, excellent! That sounds delicious! I'm so glad you liked it. Yes, there's enough flavor here (especially with good broth ;-) ) that it doesn't really need cheese - and I think parmesan goes in sort of the wrong direction? Now I'm trying to think what cheese I would use, if I felt the meal needed it for balance, but on the whole I'd probably use it elsewhere, not on the kasha. Thank you for telling me about it! 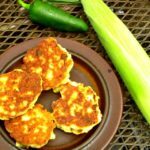 I 've only used buckwheat flour but now I have to try that! I am sure I would love it. So nutritious! OMG...I am Ukrainian...and this brings back so many memories. I LOVE buckwheat. On Ukrainian Christmas Eve, buckwheat cabbage rolls are one of the 12 holiday dishes we eat for the celebration. Still to this day, I can just cook buckwheat and eat it in place of rice or potatoes. I love the aroma as it cooks. Oh to be a kid again!! We love buckwheat and really don't understand why it's not more popular! We sub it for almost any other whole wheat grain. We do ours with the egg white too. 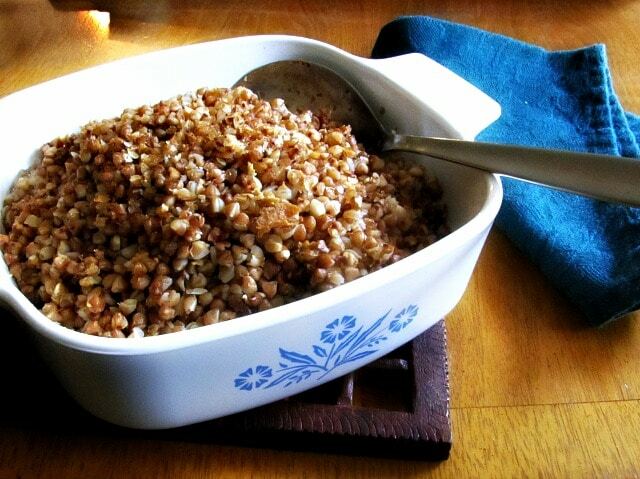 I love buckwheat and this kasha looks absolutely everything I want in a fun side dish!! I can't wait to make your delicious recipe! 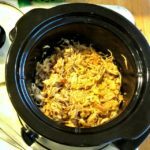 I have never made this before and it looks incredibly easy, I would definitely add the onions - yum! 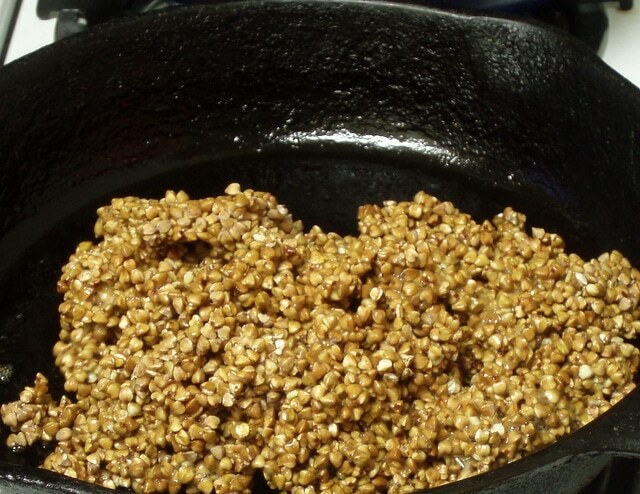 I love how easy it is to make, It's interesting to learn about these buckwheat groats. I've never tried this but it sounds like it would have really great flavor. Thanks for sharing!! I love the chew of kasha - there's something so comforting about it! The addition of mushrooms, stock and onions sounds delish! With it being the holidays, I think I would use some of those dried porcini mushrooms I save for special occasion! Delish! Ok, yum! I'm gluten free and this looks delish! 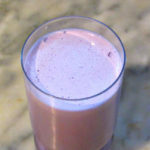 I've never heard of buckwheat groat but this looks and sounds delish!! Going to give this a try! I love that this is naturally gluten free - nothing worse than a fussy recipe when you're trying to entertain guests with dietary restrictions! 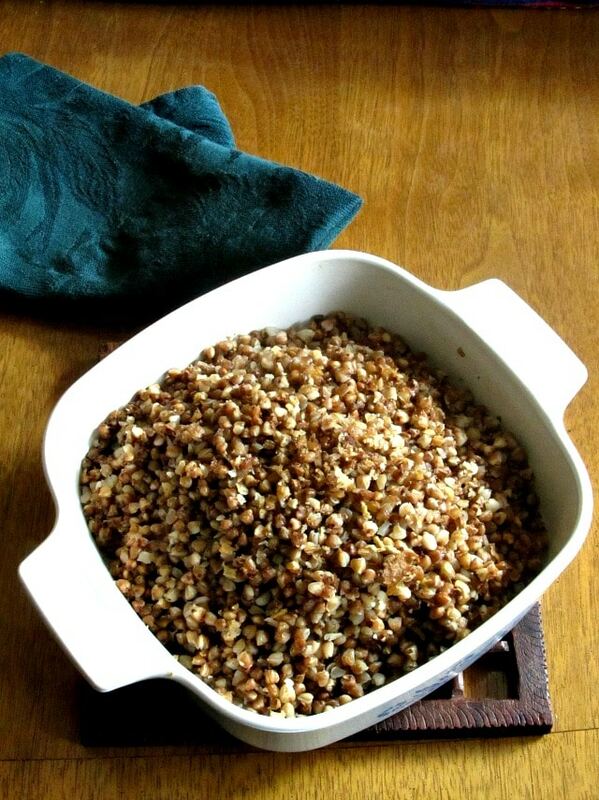 I love buckwheat and usually put it in soups to make them a little extra hearty. Love this! I've never had kasha. In fact I didn't even know what it was until I visited the Tenement Museum in NYC. I'll have to try this because now I'm extra curious about what it tastes like. It has to be good because grandmas always make the best food!